Generally, everyone should be cautious around radiation, but also realize radiation is all around us. When we are diagnosed with LFS, one of the first things we are cautioned is to avoid radiation. So what exactly does this mean? Should we avoid dental x-rays? What about the airport scanners? Do cell phones cause cancer? Can we eat bananas? 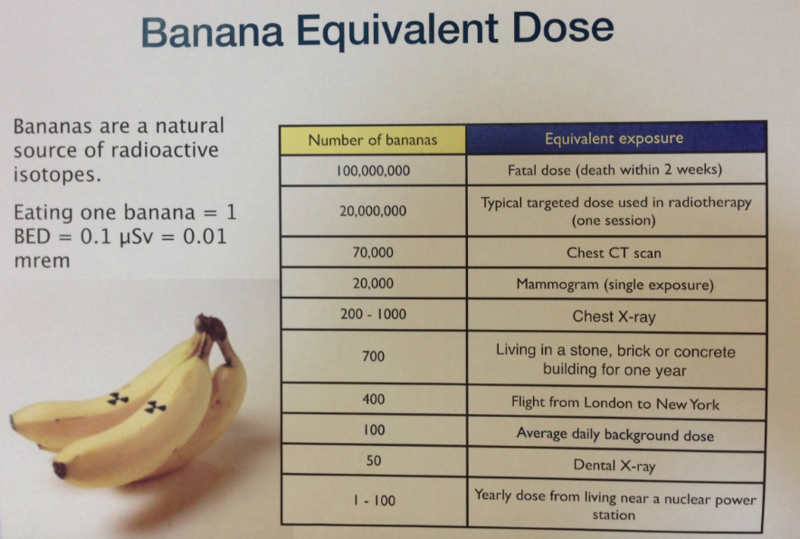 Did you even know bananas are radioactive? It has to do with the Potassium in bananas, there is an isotope of Potassium that decays and periodically releases radiation, measurable by radiation sensors. You would have to eat millions of bananas in one sitting to get radiation sickness. We have a saying among Mutants- fight the shark closest to the boat. Meaning, we face tough decisions with no clear answer and many complicated factors. We have to make decisions for the most immediate problem, with the resources and knowledge we have at the time. No sense in worrying about the shark a mile away if the shark next to the boat is gnawing off your leg. 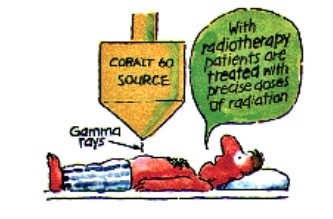 Radiation is used in many different ways when diagnosing and treating cancer. This becomes an issue for those of us with LFS. 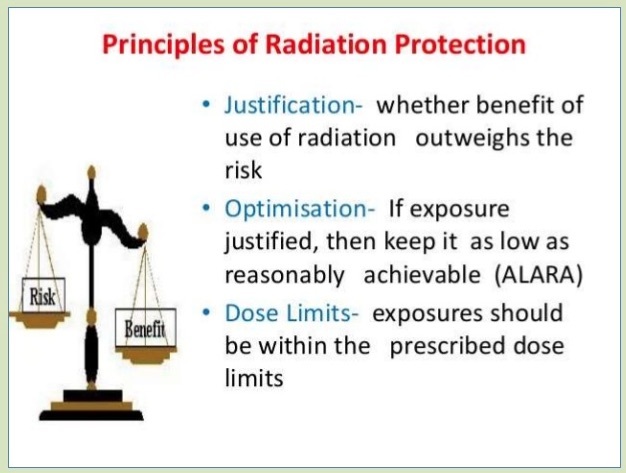 It is helpful to try to understand what radiation is and how it works so we can make the best decisions for us in each situation. LFS experts recommend treating the cancer you have when it comes to radiation, but to avoid it for screening. On a basic level, radiation is energy in the form of waves or particles. It occurs naturally, from the sun, soil, rocks and even the air can contain radon. This energy is all around us and is considered background radiation. Radiation can be low energy, non-ionizing and cause little damage or high energy, ionizing and able to induce gene damage. There are many different strengths, naturally occurring and man made. 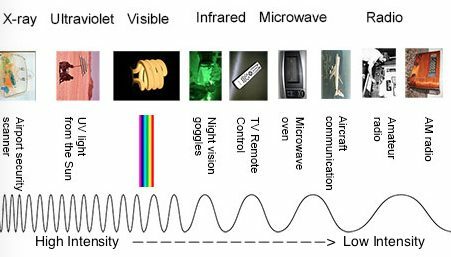 Man made sources of low energy radiation are radio waves, microwaves, and infrared light. These forms are blocked pretty easily with paper, skin or wood. Link here for DIY tin foil hat- I’m kidding. High energy radiation are tiny particles with mass, however small and can penetrate through different media. The man made versions we are most familiar with are X-rays, CT’s and isotopes used for therapy. People with LFS have Radiation Sensitivity, what is that? Radiation sensitivity means we are more susceptible to damage by radiation due to our already mutated TP53 gene. We know that radiation and some chemotherapies work by damaging the DNA, hence calling in p53 to help fix or mark the cell for death(apoptosis). If our p53 is mutated, it doesn’t always do the job it should. Over the years, clinicians noticed that some people with LFS had cancers that were resistant to radiation and some chemotherapies. They also noticed a higher number of second tumors in the radiation fields of LFS patients. Depending on the type of p53 mutation, some cancers are more resistant or sensitive to radiation than others. Just like there are many factors that can contribute to how cancer develops, there are many factors in radiation sensitivity. What mutation, how much exposure, the strength of radiation and the type of radiation. What’s a Mutant to DO? Unfortunately none of us have gotten superpowers(YET!) from radiation. There have been reports in the support group of second cancers after radiation in the radiation field. Remember, there are multiple factors that lead to a normal cell turning into cancer. We have mutant p53 which could be considered one factor to begin with, being hit by something toxic like chemicals or radiation is another. There is a fair amount of bad luck in the process- although certain tissues are more susceptible to damage, we can’t predict future cancers. Of 10 people in the group who responded about receiving radiation as treatment for various cancers, 3 had sarcomas develop within 3-10 years. Up to 2 years after treatment, one member developed recurrence and metastasis and another had necrosis and scarring from radiation. So half who had radiation had future problems, the other half did not and one member was 25 years post radiation without any radiation related cancers. Now remember- we don’t know which type of tumors these were, what kinds of radiation were used and many other factors. The effects of radiation aren’t always just bad. There are risks to scans that use radiation, like x-rays, CT’s and PET scans, but there is also a risk to letting a cancer go untreated. That is the hard part of our risk vs. benefit decision. Often times the benefit of the treatment outweighs the risk. It’s like trying to choose between a tumor and a hard place. It is important for your provider to get the information they need to make a decision about your risk. It is also very important for you to advocate for the least amount of radiation possible to get that information. Sometimes the dose may need to be adjusted to be lower specifically for you. There is also a element of what you can live with. These are all important parts of the decision making process. Our cancers are as individual as we are. Sometimes, even with our mutation, radiation therapy might be the best option for killing the threat. Today, with proton therapy, stereotactic radiation and gamma knife, radiation treatment is more specific and targeted, minimizing damage to healthy tissues. For mutants, this is important, we do not want to create more mutations that could develop into cancer. Decide what is right for YOU. What can you live with? Everyone is different, the right option for someone else may not be the best option for you. Take your time to make the decision and weigh all the risks and benefits. Genetic Counseling for Li-Fraumeni Syndrome. November 9, 2017 was the first Genetic Counseling Awareness Day! Andi Last met up with Wendy Kohlmann, MS, CGC, a licensed genetic counselor at The University of Utah Huntsman Cancer Institute to explain the value of a genetic counselor after a diagnosis of Li-Fraumeni syndrome. Wendy discusses the importance of life long meetings with genetic counselors when you have LFS. Sometimes new information is available that could affect screening or treatment, sometimes what the patient can understand changes as they get older and different issues present as we live LFS. A Genetic Counselor is a vital part of your CARE COMMUNITY. For more information, please read some of our previous blogs on Genetic Counseling. LFS- A genetic counselor’s perspective. We are very thankful to Wendy for taking the time to explain the importance of genetic counseling in LFS and for her passion and dedication to our rare families! More segments of our interview with Wendy are coming very soon, from Learning Li-Fraumeni Syndrome: a brand new video and audio podcast presented by Living LFS – Li-Fraumeni Syndrome! Like and follow our page to receive the latest updates.